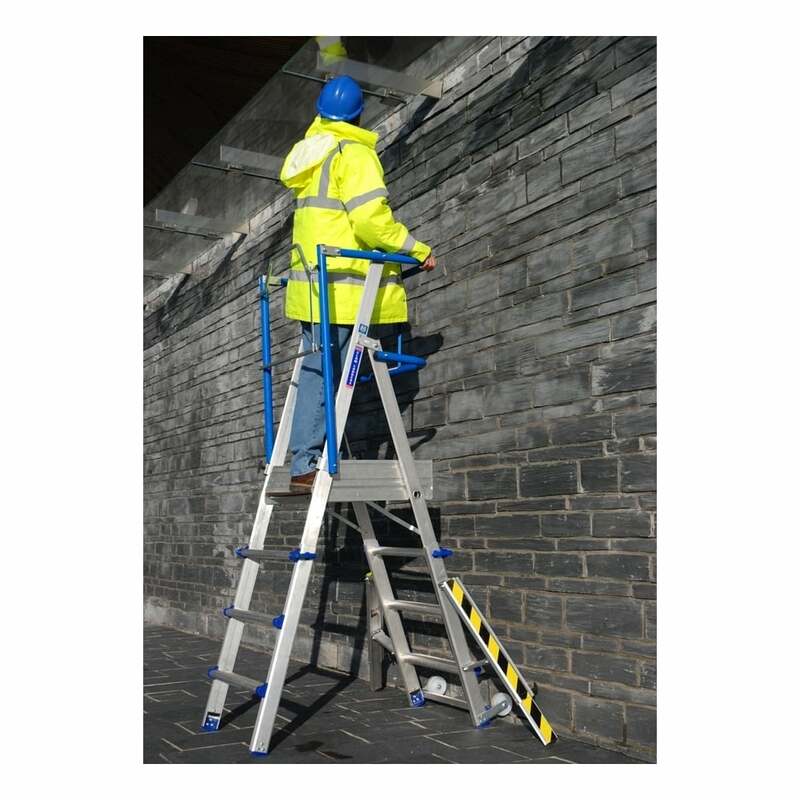 Adjustable platform is an extremely safe and secure access platform ideally suited to use on site. Designed specifically to meet all the requirements of the 2005 Working At Height Regulations, it combines all the latest features to provide a safe variable height one man working platform. Large platform with toe boards and full guardrail allowing a comfortable and safe 360 degree working zone. Easy to assemble, erects in seconds. Integrated locking stabilisers for added stability. 2 rear wheels enables effortless manoeuvrability around site, plus easy to transport. Adjustable working heights up to 3600mm.